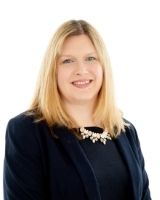 Louise qualified as a solicitor in 2009 and is part of our business services department. Louise had previously worked for over ten years at a firm in Kidderminster, latterly as a partner in the corporate services department. Louise has extensive experience acting for a broad range of clients, including small to medium sized businesses, charities, parish councils, not-for-profit organisations and international companies. As such she can quickly ascertain her client’s objectives and can assist them in achieving them. Louise has a wealth of experience advising clients on business matters. She deals with all matters in a positive and pragmatic way, and is approachable. Louise understands the importance of providing practical, commercial advice and clients regularly praise her for her negotiation skills and ability to keep a deal together whilst protecting her client’s interests. Outside of work, Louise enjoys spending time with her young daughter and husband, as well as horse riding, swimming and socialising! "I just wanted to take a moment to say thank you very much for all your work on the recent matters. It means a lot to be able to use SME and more specifically someone yourself, on matters that otherwise would be very difficult and stressful to deal with. You highlight and reinforce the reasons I always come back to SME with your fantastic, efficient and thoughtful approach to otherwise difficult matters." "I must say that both Jo and I have been extremely impressed by the professionalism you have shown whilst guiding us through this process, it has been a pleasant experience dealing with you and we've both felt we are in safe hands"